The Witcher 3: Wild Hunt will be having a Game of the Year Edition as announced by CD Projekt RED. The GOTY edition will be the complete game package. It will be including the base game, it’s two expansion packs which are Hearts of Stone and Blood and Wine, it will also come with all the available DLC’s. From the game to the expansions and DLC’s expect to have about 150 hours of great Witcher 3 gameplay. 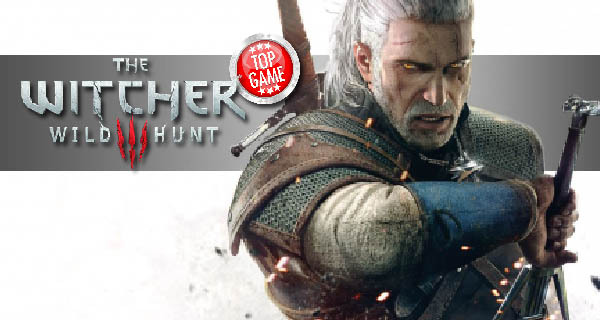 Witcher 3: Wild Hunt has actually garnered over 800 awards. So, calling the edition ‘Game of the Year’ sounds just right! 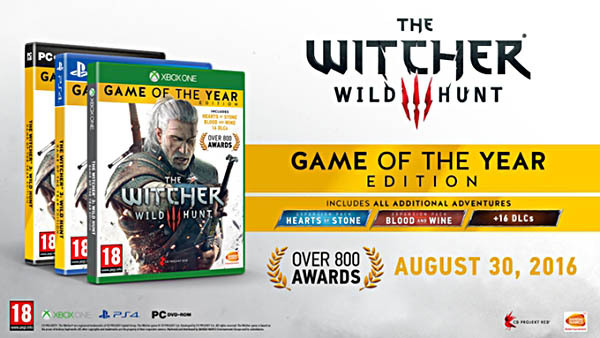 Instead of GOTY edition, other territories have it as The Witcher 3: Wild Hunt Complete Edition. Game of the Year edition is available by August 30, 2016, and you can get it for PC, PlayStation 4 or Xbox One. As of today, you can see the GOTY edition for $ 49.99 in Amazon. But do check with our trusted stores for the best rates. The GOTY Edition will definitely be a great buy for fans and a great place to start for those who haven’t played the game yet! Have we gotten you all excited about the GOTY edition? Give us a shout out in the comments below! Witcher 3 Patch 1.20 Is So Enormous! CD Projekt Red has a new patch for Witcher 3. The patch 1.20 brings so much stuff that varies from improvements to gameplays and visuals and Gwent Cards.